Hey, guys! 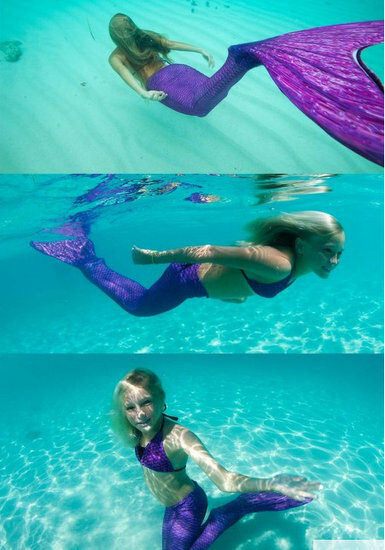 Remember how in my summer bucket list post, I mentioned wanting a mermaid tail? Well, I found a site that sells them — Fin Fun — and I have nearly enough money to buy one! And I thought buying a mermaid tail would be the least likely to happen . . .
Aussie Green . . .
. . . or Asian Magenta. And so, I have decided to get your opinion before purchasing a tail. First off, I don’t know which tail would look better on me. I have a light tan, blue-gray eyes (duh), and brown hair past my shoulders that gets really dark in water. Bright, so it stands out in water. Purple is a good color with my hair. More like what I’d picture a mermaid tail looking like. BUT, it blends in more with water. So I really don’t know which to choose. I asked my family, and they all said Aussie Green — plus, I really like how it looks in photographs. But the purple one is PURPLE. I vote Aussie Green! But sometimes, when I make decisions, there is one That I actually want, but other people would rather have the other one! I like to please others, so I often have a hard time choosing. You might not be like this, but if you are, just go with your gut! I ended up getting some help from the website — one tail was sold out in my size! Good! I hope to see a post about the one you chose soon! From the discription you gave of yourself, I would say get Asian Magenta because I think the purple would go better with your hair color. That’s just my opinion, though. ;) Also, once you get one, could you do a review please? 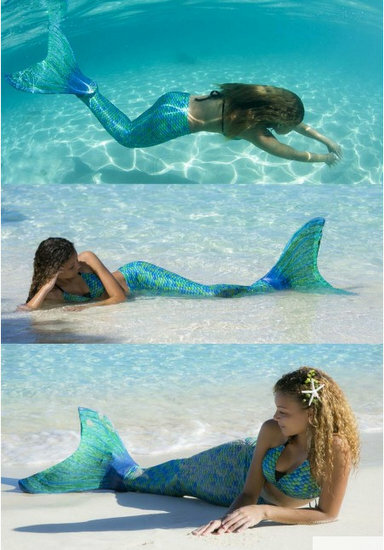 I’m thinking of getting a mermaid tail too and I want to know the best brand. Thanks! Hey, Devin! I think the Asian Magenta is really pretty. :) I’m planning on doing a review once I’ve swum in it a few times. I think the Green one is sooo pretty! That’s my vote! 1. A local news channel is doing some story saying how dangerous they can be for people learning to swim. 2. She thinks they’re stupid.